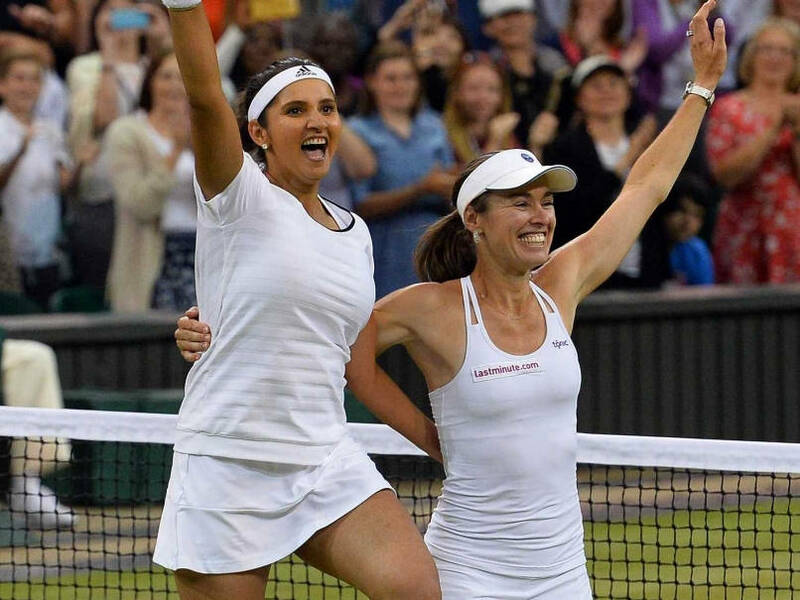 Sania Mirza and her partner Martina Hingis produced a stirring fightback to claim the Wimbledon women's doubles title under the Centre Court roof lights on Saturday. This is Sania Mirza's first-ever women's doubles Grand Slam title The Indo-Swiss pair of sania- hingis defeated Russian pair of Ekaterina Makarova and Elena Vesnina. For Sania Mirza, it was a maiden women's doubles title at a Grand Slam although she has won three mixed doubles titles at the majors. In mixed doubles, Leander Paes and her Swiss partner Martina Hingis will take on Hungarian Timea Babos and Austrian Alexander Peya in the finals today.